In 2004, a new European legal ruling made flight delay claims a standard entitlement for most flyers taking flights between European airports. Under this EU legislation, everyone who experiences a flight delay longer than three hours should be able to claim compensation for the delay. The process of claiming compensation for flight delay is free, and the amount of compensation a person can expect to receive is from £110 to £520, depending on the severity of the delay that compensation is being claimed for. Flyers are able to claim flight delay compensation on their own, or they can use a claims service to handle the process for them, paying a percentage of the flight delay compensation they receive as a fee to the claims service. A Guide to Claiming Compensation for Flight Delays. A note on the implications of BREXIT on flight delay claims. Airlines are required to pre-allocate a flight delay compensation budget. Why do flight delays happen? What are the main rules for claiming flight delay compensation in the EU? Flight delays all the way back to 2011 can be claimed for under EU legislation. Compensation is only paid if the airline is at fault for the flight delay. A delay must be longer than 3 hours to successfully make a compensation claim. How much compensation can I claim for a flight delay? Can I Claim Compensation for a Cancelled Flight? Additional Compensation for Flights Cancelled Due to the Airline. How Much Compensation Can I Claim for a Cancelled Flight? What If a Flight Is Overbooked and I Am Removed from It? How to Make a Compensation Claim for a Flight Delay. Claiming Flight Delay Compensation Yourself Step 1: Complain to the Airline. Claiming Flight Delay Compensation Yourself Step 2: What to do About a Rejected Claim. Claiming flight delay compensation yourself step 3: if the airline says no. Claiming flight delay compensation yourself step 4: taking your claim to court. What external factors can affect my claim? What to do if you must take your flight delay claim to court. What compensation can be claimed for a flight delay? Try one of our free flight delay claim letter templates. Not got time to process a flight delay claim yourself? Let LegalExpert.co.uk deal with your claim. No win no fee flight compensation delay claims through LegalExpert.co.uk. Call us now to start your flight delay compensation claim. Within this extensive guide, we will attempt to introduce all of the factors that make up the process of claiming compensation for a flight delay and also outline the flight delay compensation rules which apply to anyone seeking compensation due to a delayed flight. Currently, flight delay compensation claims fall under the umbrella of EU legislation. Only countries that are members of the European Union are legally required to uphold this legislation. This means that when the U.K. leaves the European Union as a result of BREXIT, airlines operating within the U.K. will no longer legally be required to pay compensation for delayed flights. However, it should be noted that although this will likely be the case, it is fairly likely that U.K. laws to protect consumers will come into play, enabling U.K. citizens to pursue a compensation claim for a delayed flight. Put simply, the picture changes slightly, but the overall view should be very similar. For example, when it comes to flight delay compensation EasyJet and other airlines operating with the EU, have to ensure that they have sufficient funds on hand at all times, to cover any fight delay compensation they may be liable to pay. The airline will calculate the amount of flight delay compensation they may need to pay across the year and keep these funds fenced away so that they are always available for the public to claim against, even if the airline were to go out of business. This is a requirement under EU legislation to ensure that consumers are protected at all times. It means that there is a significant amount of funds available every year for consumers to claim flight delay compensation against. All you need to do is claim it. Bad weather making it dangerous for the flight to take off. Problems with the maintenance of the aircraft making it unfit to fly. Insufficient fuel available at the airport to fill up the plane. Glitches in the airline booking and boarding system making it impossible for passengers to board the aircraft. Too much air traffic, causing congestion at the airport. The late arrival of the plane, if it has been on a previous flight route that was delayed. Security problems, either with the airport in general, or a specific airline/flight. Regardless of the reason for the flight delay, consumers are able to claim flight delay compensation if the delay has been longer than three hours, and find the reason for the delay can be proven to be the fault of the airline. Two main categories apply to flight delay compensation claims in the European Union. The first of these is that any flight taking off from an airport in the European Union is regulated by EU legislation regardless of the airline. The second is that any flight landing at an airport in the European Union that is operated by an EU regulated airline falls under EU legislation on flight delay claims, regardless of the original take off airport. It is important to note that the countries of Iceland, Liechtenstein, Norway and Switzerland are also dealt with under legislative procedure as if they were full members of the European Union, even though they are not. For example, when it comes to EasyJet flight delay compensation, a flight taking off from London Stanstead in the EU, and landing in Tel Aviv, would fall under EU legislation for flight delay, as the flight took off from an airport located within the EU. Similarly, as another example of EU legislated flight delay compensation British Airways might operate a flight taking off from New York, but landing in London. Because British Airways is an EU regulated airline, and it is landing at an airport in the EU, then EU flight delay compensation legislation is in effect. Codeshared flights – when you book a flight with one operator and the flight is actually provided by another. For example, if you booked a New York to London flight with American Airlines but the flight was actually provided by British Airways, then it is British Airways that would be used as the airline for judging the validity of a flight delay claim. When connecting flights are provided by multiple airlines, compensation claims are judged for viability on a case by case basis. Packaged tours – regardless of the fact you may have paid for your air flight as part of a packaged holiday deal, it is the actual airline itself that is liable to pay flight delay compensation, not the tour operator. Non-EU flights – if you are on a flight that does not fit within the two categories that define the scope for making an EU legislated compensation claim for a flight delay, the situation is far less clear. Many airlines operate their own flight delay compensation schemes. So first make a complaint to the airline, and find out if such a scheme exists. A flight delay claims service will likely be able to pursue such a claim on your behalf. Additionally, if you have travel insurance, it may have a provision for claiming against the policy for a flight delay. Although it is possible to make a successful claim for a flight delay as far back as 2005, it is unlikely that any claim dated before 2011 would be successful. Statistically, the best chance of claiming compensation for a flight delay is when the claim is made within six years. Airlines imposing shorter time limits as part of the terms and conditions – these can be safely ignored, they are there to try and dissuade passengers from making aged claims. Under U.K. law, they are meaningless. U.K. consumers are given six years to make any claim against a manufacturer/service provider. It should be noted that in Scotland, this limit is five years. Claims further back than 6 years might still be possible – under U.K. law, it is possible to claim flight delay compensation all the way back to February 2005. However, this is difficult to achieve in practice. Outside of the U.K. laws differ, and the timeframe may be shorter. 2013 EU legislation set the framework for flight delay claims – and this new legal framework applies to flight delays all the way back to February 2005 in the U.K.
You will need proof of boarding to make a claim – so be sure to keep hold of your actual boarding pass. If you don’t have your boarding pass for a flight that was many years ago, digital proof of flight purchase might be accepted such as an email. Claiming for a flight delay against an airline that has closed – in most cases you will have to pursue the claim as a creditor of the company if the airline went bust. Also, if you paid using a credit card, you may be able to claim against the payment insurance provided by the credit card company. Claiming for a flight delay against an airline that has been bought out – in this case, the legal entity that purchased the airline will have taken over all liabilities, and therefore will be liable to pay flight delay compensation. The reason for the flight delay must be something that the airline in question has control over. For example, Ryanair flight delay compensation being sought for a flight delay that was caused by bad weather, will not result in a successful claim. This means that things like overbooking, a faulty plane, staff shortages etc. are all claimable for. But other causes such as weather, political unrest in the destination country, natural disasters and acts of war are not. EU legislation states that every airline must prove that extraordinary circumstances caused the flight delay and that the airline did everything it could to overcome the problem before it can waive liability for compensation. If you are not sure whether the airline was responsible for a flight delay, it is possible to contact the Civil Aviation Authority (CAA) in the U.K. or the corresponding authority in any other country in the European Union and ask them to provide the reason for the flight delay. Obviously, this can be a complete process, and using a flight delay claim service to do this for you might make sense. Additionally, if the delay was caused by something beyond the control of the airline, you may still find that your travel insurance has provision for making an insurance claim for the delay regardless of the reason. If your flight was over booked and you flew on a later flight – you can still claim for the original flight delay. If the delay was caused by the plane arriving late – a clear route to a claim may not exist, some claims may be valid if it can be proven the delay was due to the airline. Best advice is to use a claims service to help pursue this claim. The delay causes you to miss a connecting flight – then you will still have reason to claim compensation as it delayed the time you reached the end destination. For example, if to claim for a flight delay caused by Ryanair, then to successfully receive flight delay compensation Ryanair must be responsible for causing a delay of longer than 3 hours. It is important to note that the time is calculated on how late you were arriving at the destination airport, and not how late you were taking off from the starting airport. Your plane could take off on time, and in-flight problems could the cause a delay. The longer the delay, the more you can claim in compensation. The reverse is also true. Delays can be made up in-flight. If you take off 3 hours late, and 5 minutes is made up in-flight, it would only be a delay of 2 hours and 55 minutes, and therefore cannot be claimed for. Money vouchers – some airlines might offer to pay compensation using money vouchers. You are under no obligation to accept these and can insist they pay in cash. Costs can be claimed on top of the flight delay compensation in some cases – and this could include out of pocket expenses such as food, drinks and in the case of extreme delays, overnight accommodation. Some airlines will give food and drink vouchers on-site and may also arrange accommodation. Full fare refunds – can be possible for flight delays that are longer than 5 hours. The same rules apply for refunds as they do for delay compensation regarding which flights are covered by EU legislation. You will not be able to claim both flight delay compensation and a flight ticket refund. What Information Do I Need to Provide to Make a Flight Delay Claim? Full passenger details – including the names of all passengers, and also your postal address, telephone number and email address. Airline reference number – if you have previously been given one by the airline with regard to your flight delay claim. Full flight details – including the flight number, booking number, and also the airports that you were taking off from and flying to, along with the dates the flight took place. The length of your flight – you can use a website such as Web Flyer to check this. Copies of all documents – including the booking confirmation (even in email form), the ticket and the boarding pass. What Can I Do If the Airline Dismisses My Flight Delay Compensation Claim? When you first approach an airline to discuss the possibility of claiming compensation for a delayed flight, be prepared to be given disinformation. Many airlines publish terms and conditions that try to limit the rights of consumers to claim flight delay compensation. When you contact the airline, they may refer you to these terms and conditions, and refuse your claim based upon them. In this case, you are still protected by U.K. and EU law, and can still go ahead and claim compensation. You will need a claims service to do this on your behalf, as you will need to open a legal case against the airline and take the claim to court. The rules for claiming compensation for a cancelled flight are the same as those for claiming for a flight delay in regard to when a claim exists. EU departures regardless of airline and EU operators landing at an airport within the European Union. Iceland, Liechtenstein, Norway and Switzerland are all handled as if they are in the European Union for the purposes of claiming flight delay compensation. The flight cancellation must have happened since 2011 (in some cases you could claim back as far as February 2005 although rarely). Being pre-warned of the cancellation does not negate your reason to claim a refund. If the flight was cancelled due to events outside of the control of the airline, such as weather, then you will still be able to claim a refund or new flight. If you are stranded at the airport – the airline is legally required to provide food, drinks and if needed, accommodation until you are either given a refund or put on a different flight. 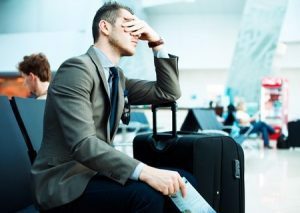 If the airline offers you a different flight – and you accept it, then you are no longer seen to be suffering from a cancelled flight, you will be processed as if you have experienced a flight delay when it comes to claiming compensation. If you paid for the flight using air miles – the airline must either offer a replacement flight or refund the air miles. If you chose a rescheduled flight – and it arrives at the destination later than scheduled, you can claim additional compensation for the flight delay. If the airline cancelled your flight – within 14 days of departure and offered you an alternate flight, you will have no viable reason to claim additional compensation. If the flight is cancelled due to extraordinary circumstances – then no compensation will be available. Airlines routinely overbook flights, so that they have the best chance of never flying with empty seats. Unfortunately, this means that from time to time, everybody shows up for an overbooked flight, and some people have to give up their seats. Usually, the airline will ask for volunteers to take a later flight. And in this case, any compensation that is awarded is between the passenger and the airline at that time. This could include food, drinks and accommodation. However, if there are not enough volunteers, the airline will remove people from the flight. If you are removed from an overbooked flight, the same rules regarding compensation apply as if the flight was cancelled. There are several ways that you can begin a claim for compensation for a flight delay. Many people choose to pursue the claim themselves. And if you wish to do so, you can use a standard flight delay compensation letter, and we have made some available for you to use. However, if your claim is a complicated one, or you don’t have the time to process the claim yourself, you can use a flight delay claim service, like the one we offer, to claim compensation on your behalf. Each airline has its own complaints and claims process. So your first task is to contact the airline, and formally make a complaint about the flight delay or cancellation. When you do so, be sure the tell the airline you wish to make a claim under EU regulation 261/2004. Unfortunately, airlines often try to dissuade passengers from claiming the compensation they are due by law. The airline may refuse your compensation claim, or simply make it very difficult to make a claim. In this case, you can take your claim to an adjudicator. Although there is usually a fee of around £25 attached to this. And if your claim fails, you won’t get that back. In the UK, the CAA is the airline regulator, and it has approved several special services known as Alternative Dispute Resolution (ADR) schemes. In the U.K. you must use an ADR service as an adjudicator. There are six such schemes in the U.K. and these are the National Board for Consumer Disputes (ARN), the Centre for Effective Dispute Resolution (CEDR), the Czech Trade Inspection Authority, NetNeutrals, the Retail Ombudsman and German body Söp. NetNeutrals – currently responsible for no airlines. Söp – is responsible for Austrian Airlines, Brussels Airlines, Eurowings, Germania, Germanwings, Lufthansa and Swissair. The Retail Ombudsman – is responsible for Air Astana, Air Canada (and Air Canada Rouge) Air China, Air France/KLM, Air India, Arik Air, Asiana Airlines, City Jet, Egypt Air, Flybe, Monarch, Ryanair, Skyworks Airlines AG, South African Airways, TAP Portugal, Turkish Airlines, Virgin Atlantic and Wizz Air. Czech Trade Inspection Authority – is responsible for Czech Airlines only. CEDR – is responsible for British Airways, Easyjet, Thomas Cook and Thomson. If your flight was on an airline not covered by one of these ADR schemes, you will need to take up your claim with the local regulating authority, so in the U.K. this would be the CAA. Although if your flight came from, or landed abroad, you may need to contact the corresponding body in that country. UK Anywhere UK, EU, rest of the world Go to the CAA or Consumer Council for Northern Ireland if you flew from there. Non-EU UK UK Go to the CAA or Consumer Council for Northern Ireland if you flew from there. EU, not UK CAA or the European Consumer Centre (it shouldn't make a difference which one you use), or Consumer Council for Northern Ireland if you flew into there. Outside EU Compensation not applicable. Outside EU Compensation under EU law not applicable. Outside EU Anywhere Compensation under EU law not applicable. Unfortunately, some airlines try and make it has hard as possible for passengers to claim flight delay compensation. If you are claiming flight delay compensation Thomson for example, might refuse your claim despite an adjudicator agreeing you have a valid reason to claim. Alternatively, for example, if you are claiming Jet2 flight delay compensation, and you are unhappy with the decision either an ADR service or governing authority has made, how do you move forward with a claim? In either case, you are going to need to take your flight delay claim to court. And this means entering into proper legal proceedings against the airline. At this stage, it really makes sense to have a flight delay claims service working on your behalf, as you will need professional legal representation. One important thing to note is that there is a time limit of 6 months for taking a flight delay compensation claim to court once you have made the original complaint to the airline. In some instances, making a complaint to the airline, only to have it refused, and then receiving a negative response from the relevant regulator can leave passengers high and dry. The airline refuses the claim, and the regulator fails to support the claim. In these cases, it means taking the claim to court. You will definitely need proper legal representation to do this, and using a flight delay claims service such as the one we offer here at LegalExpert.co.uk makes good sense. You can take a claim for compensation for a delayed flight to court in England, Wales and Northern Ireland, any time up to six years previous. In the U.K. you can claim up to £10,000, in Scotland up to £5,000 and in Northern Ireland up to £3,000. Was your flight booked in the U.K.? 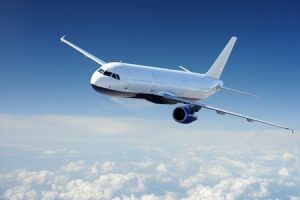 – regardless of where the actual airline is based, if you booked your flight in the U.K. then you are going to be able to take the claim to court. Does the airline have a U.K. registered office? – if it hasn’t you can still take the claim to court in the U.K. but you will need to get some legal advice on how to do so. We are happy to help, simply contact us. Did the flight depart from or land in the U.K.? – regardless of where you booked the flight, or where the airline is based, if you took off from or landed in the U.K. then you can take your flight delay claim to court. What External Factors Can Affect a Claim? Some airlines do everything they can to stop people making a compensation claim for a flight delay. For example, if you are trying to claim flight delay compensation an airline might try to tell you that due to their terms of service, you are not eligible for any flight delay compensation. This is contra to U.K. and EU law. No matter what the airline’s terms of service state, you are always able to take them to court to claim compensation. Another way that airlines try to get out of paying compensation for delayed flights, is to pass the buck. As an example, if you were trying to claim flight delay compensation an airline might tell you that the cause of the delay was outside of their control. In some cases, this will be true, but in many cases, it is not. You will need to take a claim to court to prove the blame sits with the airline. This again is something that LegalExpert.co.uk can help you do. Some airlines might try to claim technical faults are extraordinary circumstances – and no flight delay compensation is payable for delays caused by extraordinary circumstances. This is simply a game an airline might play, to try and get out of paying compensation. Technical faults are not extraordinary circumstances, they are solely the fault of the airline, and therefore liable for compensation. If your airline tries to pull this stunt with you, then we recommend you use our No Win No Fee flight delay claims service. You have not submitted a claim – then by reading this guide you already know what you should do. However, we are happy to take on the entire process for you. Your claim has been put on hold – some airlines may pull stalling tactics if they can, putting off paying compensation in the hopes the passenger drops the issue. If this happens to you, then let us light a fire under the airline for you, by taking them to court on your behalf. Your initial claim was rejected by the airline – you can either take your claim to the relevant adjudicator or let us do this for you. Gather all the documents relating to your claim – this means all the initial booking receipts and confirmation letters/emails. Also, boarding passes, and any correspondence you have had with the airline regarding the claim. Document the event accurately – this means putting all the facts together, the flight number, date and time of the flight, and the reasons for the delay as told by the airline. Use one of our standard flight delay claim letters – if you want to first try claiming compensation on your own, then use one of the standard letters we provide for you to contact the airline. Reach out to a flight delay claims service for help – such as the one we provide here at LegalExpert.co.uk. This removes the headache of making a claim entirely, as we will do all the hard work for you. Compensation for the actual delay – European Union legislation has set the scale of compensation that airlines must pay, dependent upon the length of the delay and the distance flow. See the tables higher up the page, for full details of how much you can claim. Compensation for costs incurred due to the delay – if you are left waiting around in the airport, then you will need to feed yourself, and buy refreshments. For longer delays, you may need to pay for overnight accommodation. And in the most extreme cases, you may have had to pay for alternative transport to your destination. All of these things can be claimed for in court. If you have found the information we have published in this guide useful, and you think you would like to try claiming flight delay compensation for yourself, then we have created some standard letter templates for you to use. You can download these freely, and use them to approach your airline to begin your flight delay compensation claim. These letters have been worded to use the correct legal expressions, and quote the correct EU legislation. They are a good first step in claiming flight delay compensation. Many people reading this guide are bound to feel that the whole process for claiming flight delay compensation is complicated. In reality, as long as the airline doesn’t try to avoid paying compensation, it can be as simple as sending them a formal letter of complaint triggering a successful flight delay claim. Although when the airline decides not to pay, and you then have to go through the process of using an adjudication service, and then potentially taking the claim to court, things are more complex. If you would prefer not to worry about just how much effort has to go into claiming your flight delay compensation, then we offer a flight delay claims service to help you. We will claim the compensation on your behalf, whether that means simply sending a letter, or going through a full court case, we do it all, you sit back and wait for the process to finish and the compensation to be paid. Taking a flight delay claim to court can be an expensive and long-winded process. You will need to pay for a lawyer and any legal fees associated with the claim across the duration of the case. If you lose, those costs are gone. We have another option. We offer a No Win No Fee flight delay compensation claims service. We don’t charge anything up front, and you won’t need to pay us anything until you have successfully been awarded flight delay compensation. If you don’t win any compensation for your flight delay claim, then you won’t need to pay us anything at all. So, you really have nothing to lose, there is no financial risk to you at all. Were you the victim of a flight delay, either recently or up to 6 years ago? Did the airline refuse your claim? Or maybe you just don’t have the time to follow upon the claim yourself? If you answered yes to any of these questions, then we can help you. In most cases, we will offer to take on your flight delay compensation claim under a No Win No Fee agreement. You won’t pay a thing unless you are actually awarded compensation for your flight delay. Call us now on 0800 073 8804, email us, or use the live chat function of this website to get your flight delay compensation claim started today.